As a Geographer and a Geography educator, one of the areas that I work closely with is the knowledge of Plate Tectonics. To be specific, a lot of the knowledge I deal with pertains to case studies on the impacts of tectonic hazards on a nation and society. For instance in the years proceeding the 2011 Tohoku Earthquake, a lot of the case studies and discussions we have would center around the tectonic processes that led up to the underwater earthquake and thereafter, the aftermath of the ensuing tsunami that resulted from it. The plethora of photos, videos and articles available in the world wide web have been useful for people like me as we sought to better understand the disaster and yet it can’t be denied that these same sources portray grim scenes of the disaster itself which does affect us more deeply than we wanted. I never knew that this part of my work had affected me until last year when I visited places which are vulnerable to earthquakes and tsunamis. The two places I visited – Yogyakarta and Bali – lie in a region that is at the boundary of destructive plate movements commonly associated to phenomenon like the formation of mountains and volcanoes, volcanic eruptions, earthquakes and tsunamis. I still remembered that increasing feeling of fear emerging inside me as my feet gradually took me closer to the coastline of Tanah Lot, Bali, and my senses picked up the deep sounds of waves rushing to the shore and thereafter breaking on the coast with an energy you knew would engulf you in an instant should it morph into a tsunami. A glimpse of the waves as I approached the coast. One could even make out the wave height even from this distance which shows that those waves are not small! 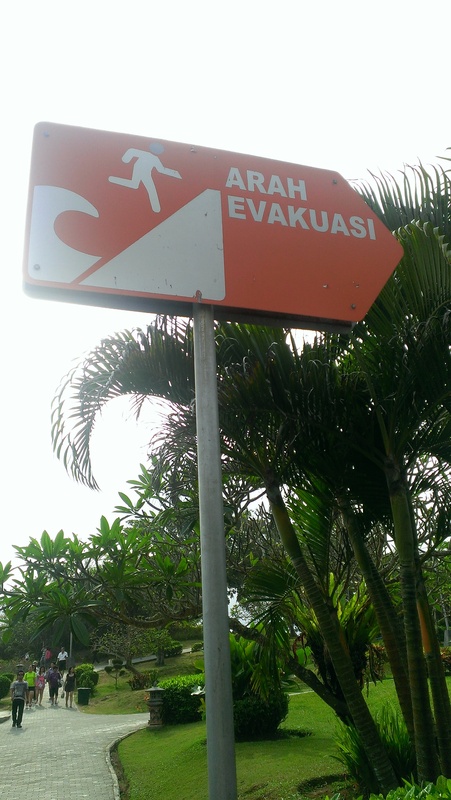 Then as my eyes chanced upon the countless signboards detailing warnings that the area is a high risk zone in the event of a tsunami, I started to grow more worried. Things I’ve been studying, researching and teaching about seem to get too real. It’s not that they were not real before this it is just that there is a difference between reading about them in depth from the comforts of your home or office and to actually be physically there yourself right in the midst the hotspot. Experiential learning can really be such a powerful experience! Thus on the one hand, I’m blown away by the natural landscape and features of the area and would like to spend more time exploring that place and taking in the sights. On the other, my mind kept on flashing images of the photos, videos and information about the effects of earthquakes and tsunamis and all I wanted to do was to get out of the place as soon as possible. 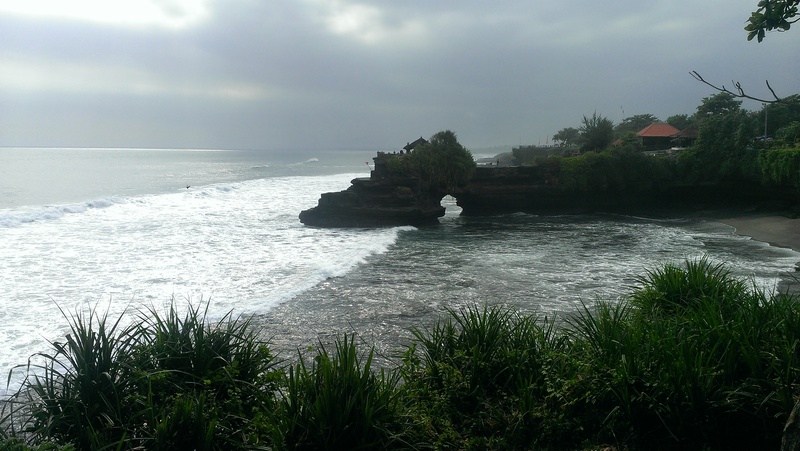 Part of the beauty that is Tanah Lot, Bali. A signage indicating the route to take in times of evacuation. It is essentially redirecting people towards a place further inland and on higher grounds. A map showing the areas most vulnerable to tsunamis. The zones that are most at risk are those shaded red and pink. 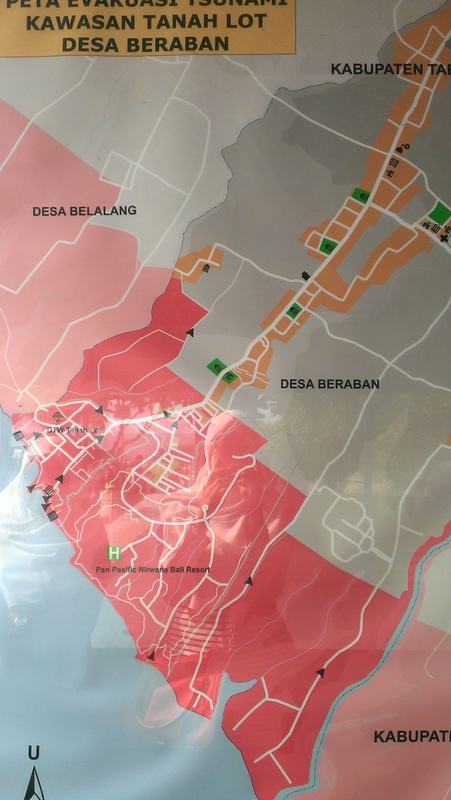 In fact in retrospect, I also realized that the knowledge regarding tectonic hazards had played a big role in the decision I made on where to stay while in Bali! Avid travellers to the place would usually recommend staying in one of the many villas or a location near to the beach. However I realized that the accommodation I finally chose was one that was many kilometers inland! Even then, I still worried every night right before I go to sleep whether I could wake up on time to escape in case an earthquake were to strike in the middle of the night. I mean, I have also worked with a lot of case studies in which an earthquake hits a place in the middle of the night and how those can be more disastrous as the people were unprepared…. And so, as that time of year for me to review those materials I have on Plate Tectonics arrives yet again, I’m reminded of the occupational hazards it brings. I used to disregard this term as I had immaturely presumed it would be something that would never happen to me. Alas, I guess I spoke too soon. Like they say, never say never. 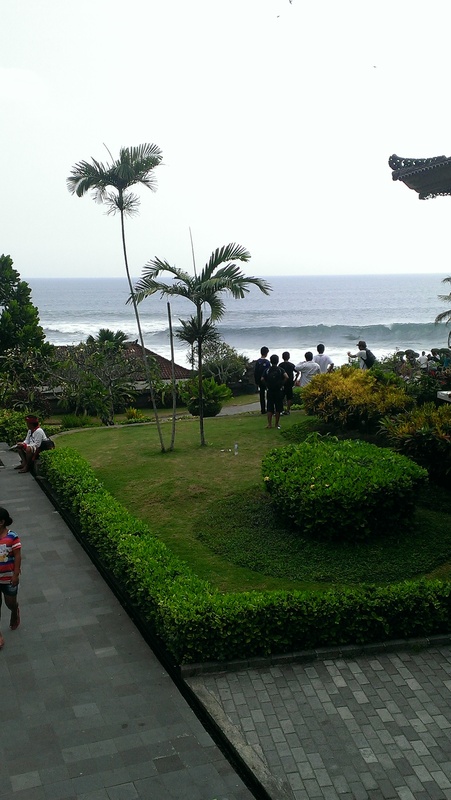 Categories: Career, Travels | Tags: Bali | Permalink.